Generex Biotechnology, and their wholly owned subsidiary Antigen Express, are developing promising new drugs to treat diabetes, as well as synthetic peptide vaccines targeting HER2/neu cancer and pandemic flu. The flagship product for Generex is Oral-lyn buccal insulin. Antigen Express' leading vaccine is the AE37 HER2/neu synthetic peptide vaccine to prevent breast cancer recurrence. I am not qualified to offer investment or medical advice, and make no claims that I am an expert in these areas. I am a layman and a shareholder in this company. The left side of Pipeline Review holds blogs regarding Generex and Antigen Express, while the right side offers items of due diligence mixed with my analysis which may be of interest to others seeking to learn about Generex's pipeline. If the left side only shows the latest blog, click on the word home to view them all. The United States Military Cancer Institute has been investigating peptide based vaccines for therapuetic value in the war against breast cancer. Previous attempts at developing peptide vaccines for breast cancer had been largely disappointing. However, those vaccines were designed to treat metastatic disease. In contrast, the USMCI researchers, based at Walter Reed Army Medical Center, have been investigating novel peptide vaccines as a preventive therapy for patients who have been treated for breast cancer and have a high risk of recurrence. In particular, the researchers have focused their efforts on two impressive peptide vaccines. E75 is a novel anti-HER2 breast cancer vaccine. The E75 protein is a rich target for therapy since it is specifically recognized by immune cells. The HER2/neu protein is an oncogene highly expressed in certain adenomas, including 20%-40% of breast cancers and some forms of colon cancer. E75 has been licensed to Apthera, a private company, which also renamed the vaccine candidate as NeuVax. In April, Apthera and the USMCI announced results from analysis of a randomized safety and efficacy clinical trial studying NeuVax (E75) in the adjuvant treatment of early-stage (node-positive and high risk node-negative), HER2-positive breast cancer. The data showed that patients with low-expressing HER2 tumors experienced decreased breast cancer recurrence and no mortality to-date following treatment. Taken together these findings may be significant for the greater than 50 percent of breast cancer patients whose tumors fall into the HER2 low-expressing category and who are not typically eligible for Herceptin treatment. The difficulties faced in further development of E75 is that it's effectiveness has been seen to wane after a few months. A Phase III trial is being planned as well as other studies investigating the need for a booster shot or higher doses of the peptide and the adjuvant GM-CSF. Unpublished data from researchers at the USMCI also appear to show the potential linking of E75 to a li-Key/HER2/neu MHC class II peptide which brings us to the subject of the other promising therpauetic vaccine in the USMCI's arsenal. Like E75, AE37 is being tested under the direction of Colonel George Peoples, M.D., at Brooke Army Medical Center. The AE37 study is a collaboration among Antigen Express, USMCI, the Uniformed Services University of the Health Sciences (USU) and The Henry M. Jackson Foundation for the Advancement of Military Medicine, Inc. (HJF). Antigen Express entered into a Clinical Trial Agreement with HJF to enable work with Peoples, USMCI and USU, with the goal of advancing the company's HER-2/neu vaccine efforts for breast cancer. Specifically, AE37 is a li-Key/HER2/neu MHC class II peptide discovered and patented by Dr. Robert Humphreys and Dr. Minzhen Xu of Worcester's Antigen Express. Antigen Express is a wholly owned subsidiary of Generex (GNBT) Biotechnology. The immunotherapeutic agent being developed by Antigen Express is a peptide derived from a tumor-associated protein that has been modified to enhance the stimulation of CD4+ T helper cells. The target protein is encoded by the HER-2/neu oncogene, which has been found to be over-expressed in tumors from a variety of cancers, including breast, ovarian, prostate, lung, colon, stomach and pancreatic cancers. Antigen-specific stimulation of T helper cells, which occurs after immunization with AE37, has been shown in prior studies to be critical for the immune system to mount an effective anti-tumor response. 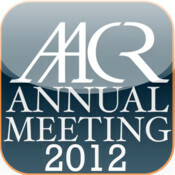 Earlier this month at ASCO, Generex and the USMCI presented final Phase I data for AE37 in breast cancer. The vaccine was found to be safe and well tolerated in breast cancer patients. There were no patients that experienced toxicity over grade two. The remarkable aspect of this first human experience with Antigen Express's li-Key/HER2/neu MHC class II moiety is that the immunological response was so robust to AE37 that the investigators continued to lower the dose of the adjuvant GM-CSF. Eventually, they removed the adjuvant from the vaccine. This is remarkable because the investigators at the USMCI concluded that "AE37 is the first peptide vaccine derived from a tumor-associated antigen that elicits a robust immunologic response in cancer patients without the use of an immunoadjuvant". While the target of AE37 is the same as that of Herceptin, the activity of AE37 relies on its ability to stimulate a patient's own immune system to recognize the cancer target rather than by interacting with the target directly. The advantage of this is that the immune system, once activated, is capable of detecting lower levels of the target protein than is Herceptin and that the anti-tumor activity lasts long after termination of AE37 treatment. The USMCI and Apthera are planning E75's Phase III trial for later this year. In early 2007, Generex and the USMCI commenced patient dosing in AE37's Phase II trial. The AE37 trial is a randomized, multi-center study among patients who have completed standard therapy for node-positive or high-risk node-negative breast cancer expressing at least low levels of the HER-2/neu oncogene. These patients are at an increased risk for recurrence. The endpoint for the study will be a 50 percent reduction in rate of relapse of the disease at the two-year point. The AE37 Phase II was designed by the USMCI as a large scale efficacy study to take advantage of changing paradigms (not yet adopted) for the study of therapeutic cancer vaccines, which proposes a two-phase rather than a three-phase clinical investigation strategy. In a recent interview, Col. Peoples discussed the development of the E75 vaccine. "This is a very basic vaccine and much less sophisticated than other cancer vaccines that are in development," he said. "Actually, most people felt that a simple vaccine like this could not work—that we would need multiple peptides to make a 'super vaccine.'" Compared to E75, Dr. Peoples commented, "AE37 is also safe and effective, and causes an even more dramatic immune system response." In the war against breast cancer, novel peptide based vaccines are being developed at the United States Military Cancer Institute that pose a needed threat to cancer relapse. These vaccines will be more applicable to the whole spectrum of HER2 as compared to Herceptin. The peptide vaccines will be easier to manufacture and cost much less. The USMCI is also designing studies looking at the peptide vaccines used in conjunction with Hercpetin. In all wars, it is a unified front that brings the best chance of victory. Are Genentech and larger oncology players like GlaxoSmithKline (GSK) paying attention? Antigen Express is the fully owned life science subsidiary of Generex Biotechnology. Antigen Express is a platform and product-based company developing proprietary vaccine formulations for large, unmet medical needs. Their focus is on stimulating critical members of the immune response, known as T helper cells. The technology allows for antigen-specific stimulation or suppression of a T-helper response to virtually any antigen of known pathogenic potential. Antigen Express is building a deep pipeline of therapeutics aimed at a variety of major diseases, including cancer, infectious diseases and autoimmune-based syndromes. The President of Antigen Express is Dr Eric von Hofe, who has been impressive with advancing Antigen Express' pipeline and entering into smart collaborations. Dr. von Hofe joined Antigen Express in November of 2003. Prior to this time he held two positions at Millennium Pharmaceuticals; first as Program Director for Target Validation, where he presided over technology development efforts for Aventis and Cereon, and second as Director of Programs and Operations, Discovery Research. He received his Ph.D. from the University of Southern California and was a postdoctoral fellow at the University Hospital of Zurich and Harvard. From 1989 to 1992 he was Assistant Professor of Pharmacology at the University of Massachusetts Medical School. Click on the image of Dr von Hofe to read the abstract for his latest peer review article regarding cancer vaccines. Click on image to enlarge. Harvard scientists, who founded and lead Antigen Express, have pioneered and patented technology that modify MHC class II epitope peptides with a fragment of the MHC class II-associated invariant chain. Antigen Express recently reported interim results from a Phase II trial of the AE37 HER2/neu Ii-Key modified peptide vaccine for patients treated for breast cancer who are at high risk of relapse. While there was a 7% relapse rate in the control arm, there were no relapses in the Ii-Key peptide arm (AE37) when analyzed at the 13-month time point. A review article co-authored by Dr. Eric von Hofe, Ph.D., President of Antigen Express, entitled "A New Era in Anticancer Peptide Vaccines", will appear in an early 2010 edition of the journal Cancer, the International Interdisciplinary Journal published by the American Cancer Society. An advantage of using the type of active immunotherapy offered by AE37, as opposed to passive immunotherapy such as treatment with Herceptin, is that activated immune cells can detect and destroy cancer cells expressing much lower levels of HER-2/neu than is needed for recognition by Herceptin. Positive AE37 Phase II Interim results were reported at the San Antonio Breast Cancer Symposium in December 2009. Click the SABCS logo to view the poster presentation for AE37's Interim Phase II results, while the abstract text will be provided below. United States Military Cancer Institute Clinical Trials Group Study I-05. BACKGROUND: CD4+ T helper peptides from HER2/neu have been evaluated in vaccine trials. The Ii-Key addition, a 4-amino-acid (LRMK) modification, increases vaccine potency when compared to unmodified class II epitopes. We present results of a prospective, randomized, single-blinded phase II clinical trial of the Ii-Key hybrid HER2/neu peptide (AE37) + GM-CSF immunoadjuvant vaccine versus GM-CSF alone in the adjuvant setting in disease-free, high risk breast cancer (BCa) patients to prevent recurrence. METHODS: Disease-free, high risk BCa patients who have completed standard adjuvant therapy were enrolled and randomized to receive six monthly inoculations of either 500 mcg of AE37 with 62.5 or 125 mcg of GM-CSF (Peptide group; PG) or 62.5 or 125 mcg of GM-CSF alone (adjuvant group; AG). Toxicity was assessed after each inoculation using National Cancer Institute Common Terminology Criteria for Adverse Events v3.0 (CTCAE). Immunologic response was monitored using delayed type hypersensitivity reactions (DTH) and 3H-thymidine proliferative assays for both hybrid AE37 (LRMK+HER2/neu:776-790) and AE36 (unmodified HER2/neu:776-790) peptides. Patients were clinically, radiographically, and pathologically monitored for recurrence of BCa. At a median follow up of 13 months, there have been no (0.0%) recurrences in the PG (0/49) compared to 7.0% (5/71) in the AG (p=0.08). CONCLUSIONS: The modified peptide AE37 is safe with mild toxicities observed primarily due to the GM-CSF immunoadjuvant. AE37 elicits a strong HER2/neu-specific in-vivo and ex-vivo immune response to the modified and unmodified peptides. Importantly, the AE37 peptide vaccine may protect against BCa recurrences. The official clinical trial listing for the ongoing Phase II trial of the AE37 breast cancer vaccine can be found here. Click on the image for Antigen Express' pipeline to enlarge. AE37 is a novel peptide vaccine that is the product of a proprietary technology platform established at Antigen Express designed to increase the antigen-specific stimulation of CD4+ T helper cells. AE37 is capable of eliciting HER2/neu-specific immune responses, even without the use of an adjuvant. AE37 is the first peptide-based cancer vaccine to show potency in the absence of an immunoadjuvant. Antigen Express announced in May 2009 that the first patient has received the immunotherapeutic AE37 vaccine as part of a new combination therapy approach for breast and ovarian cancer patients. This vaccine therapy is designed to activate immune cells that can detect and destroy cancer cells. The new Phase I clinical trial, being performed at, and fully funded by, the Mary Crowley Cancer Research Centers in Dallas and the Brooke Army Medical Center in San Antonio, will assess safety and immunological response in patients with either breast and/ or ovarian cancer. In this new trial, AE37 will be paired with a second HER-2/neu-derived peptide, GP2, designed to stimulate a different portion of the immune system. The trial results will determine both safety and immunological response. Mary Crowley investigators Dr. John Nemunaitis and Dr. Neil Senzer helped design the clinical study as part of a collaboration between Dr. George Peoples at BAMC, Mary Crowley and Antigen Express. "We are very excited to be initiating this new Phase I trial," commented Dr. Eric von Hofe, President of Antigen Express. "The trial represents a significant expansion in the clinical development of the AE37 immunotherapeutic cancer vaccine." Col Peoples, when discussing the positive immonological effect AE37 has on CD4 T Cells, added that it "makes perfect sense to combine this novel immunotherapeutic vaccine with a killer T cell-specific (CD8) vaccine." Creating a super multi-epitope vaccine is a goal of Col Peoples and the USMCI, and Antigen Express' Ii-Key hybrid peptide vaccines provide the power to the attack the USMCI is mounting against HER2/neu cancer cells in the war against breast cancer that they are determined to win. Generex and Antigen Express announced the results of a recently completed Phase I trial in prostate cancer patients of the novel immunotherapeutic peptide AE37 were presented at the 45th Annual Meeting of the American Society of Clinical Oncology held in Orlando from May 29 to June 2, 2009. The studies were conducted in Athens, Greece under the direction of Dr. Constantin Baxevanis. The immunotherapeutic peptide AE37 is being developed for multiple cancer indications. The study, entitled Results from the first phase I clinical study of the novel Ii-Key/HER-2/neu(776-790) hybrid peptide vaccine in patients with prostate cancer, reports on both the safety and immunological response to the vaccine in patients. The trial demonstrated that the vaccine is safe, well tolerated and produces the desired immunological response in patients. A decline in the patients PSA levels was detected. The results of this study are consistent with those of prior clinical trials of AE37 in patients with breast cancer. As a result of the continued successful study results for AE37, a Phase II study for prostate cancer patients is being planned for later in 2010, as well as a Phase III study for breast cancer patients. Rich Steffens has grown up in New Jersey, is a successful businessman, and studies social media trends amongst life science and biotech companies. His family is deeply influenced by the ill effects of diabetes. I am not qualified to offer investment or medical advice, and make no claims that I am an expert in these areas. I seek to share and learn. Dr Gerald Bernstein, Generex VP and former Pres of the ADA, was featured in an online video at the Doctor's Channel in a segment titled "Diabetes & Endocrinology Oral Insulin Delivery with Oral-Lyn". With many new insulin based drugs on the horizon, Dr Bernstein explains both the history of insulin treatment and what he believes to be the best future option- Oral-lyn. Click on the image of the current new insulin based drugs in development to view the video. This image, which you can click to enlarge, illustrates that with its very fast onset and offset of action, Oral-lyn buccal insulin spray may offer less risk of postprandial hypoglycemia as compared to conventional injected insulin therapy. Hypoglycemia is a life-threatening risk, and along with injections is the most important obstacle towards achieving good metabolic control. With each spray of the RapidMist device one unit of meal time Oral-lyn buccal insulin is said to be rapidly delivered into the bloodstream. The amount of sprays given is determined by the amount of insulin each unique diabetic requires to cover a meal. The company informs that the insulin only remains in the bloodstream during the time period the diabetic needs it, promising a safer and simpler approach. In this graph, which you can click to enlarge, we can see the long tail of both meal time analogues and regular insulin. Analogue prandial insulin is dosed approx 15 minutes before a meal, peaks in an hour, and with a duration of effect of 4 hours. Regular insulin is dosed 30 minutes before a meal, peaks in 2 hours and lingers up to 6 hours in the bloodstream. This slow acting tail activity often causes low blood sugar levels to occur after the glucose spike provided by the meal starts to decline. Generex states that Oral-lyn is taken right before the first bite of the meal, immediately begins to be absorbed in the inner lining of the mouth, peaks in 30 minutes, and blood sugar levels cleanly return to baseline within two hours. Generex finds there is no tail of activity with Oral-lyn as there is with all other forms of injectable insulin, so they believe the risk of postprandial hypoglycemia is greatly minimized. If blood levels are back at baseline after the meal, there is no reason to gorge on post meal snacks to offset any lingering insulin, which helps avoid unhealthy weight gain. The unique time action profile for Oral-lyn, if proven in the Phase III study, may provide greater flexibility in usage, as well as the ability to take small dose sprays before a snack when that tasty treat simply can not be resisted. Another main advantage for Oral-lyn may be its ability to mimic the first-phase insulin response seen in a healthy person. This first-phase insulin release is one of the first functions that people with diabetes lose. In healthy people our bodies release insulin within 10 minutes after eating. Unlike Mannkind's Afrezza, in which a powder insulin formulation is inhaled into and absorbed by the lungs, Oral-lyn is delivered as a fine spray to the buccal cavity by the RapidMist delivery system. Generex states the result is rapid insulin absorption through the buccal mucosal lining of the mouth without pulmonary (lung) exposure. The lungs, like all other vital organs in the body, are already a target of diabetes leading to lower lung function over time. 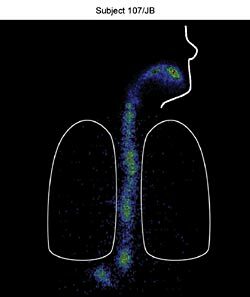 The lungs are meant to process gasses, and not proteins. 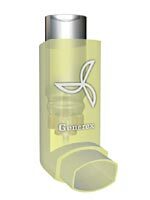 I think that Generex, via Oral-lyn buccal insulin, avoids potential pulmonary complications in a simpler and safer approach. Click on the provided X-Ray image to learn more. "In all of the studies discussed, results showed that oral insulin spray was absorbed in direct relation to the amount given and had a faster onset and a shorter duration of action when compared with SC regular insulin. This fact alone would seem to make the oral insulin spray an ideal candidate for prandial glycaemic control." "The oral insulin spray is a tasteless liquid aerosol mist formulation that is administered to the buccal mucosa using a proprietary delivery system." "On all of the studies conducted, the oral insulin spray was generally well tolerated." "The ease of use of the insulin spray formulation may increase patient acceptance and treatment compliance, thereby potentially reducing complications and improving quality of life for patients with insulin-dependent diabetes." The article's abstract can be found here. Oral-lyn is available in a US FDA approved Treatment IND as well as in Phase III trials as a 1 UNIT per spray dose. For Oral-lyn, the delivery devise appears built to provide fine tuning post meal dosing. It appears as simple as taking another quick spray. In my opinion, as the safety concerns swirl around prospects for inhalable insulin, the Oral-lyn buccal insulin Treatment IND sounds like a great marketing advantage, since more and more diabetics and physicians will learn of buccal insulin as Generex works towards full approval. "Patients who are needle averse face a serious barrier to their recommended treatment," warns Generex "Generex Oral-lyn promises a pain-free alternative to injectable insulin, which is good news especially for older patients and children who find needles uncomfortable." Click on the image provided above to learn more about aversion to injections and diabetes. Click on the photo of Dr Bernstein to view his interview on FOX Health. Dr Bernstein recently commented further on the unique safety profile for Oral-lyn: "It’s extremely safe by all the studies that have been done so far, including two years in animal tests. We haven’t seen allergic reaction. The lining of the mouth hasn’t shown any abnormalities. The buccal mucosa is an extra-tough and resilient tissue, it’s beaten up all the time. People bite themselves or burn themselves. Whatever doesn’t get absorbed is going to go to the stomach. Now the insulin molecule is unprotected and therefore it will be denatured by the acid and then broken down. There are no side effects." Dr Bernstein is an attending physician at Beth Israel Medical Center, and physician emeritus at Lenox Hill Hospital and Montefiore Medical Center, all in New York. He was formerly Director of the Beth Israel Health Care Systems Diabetes Management Program. Dr. Bernstein was president of the American Diabetes Association in 1998-99 and was for many years a member of the ADA's Board of Directors and its Executive Committee. He received the ADA's Banting Medal for Service in 1999. Dr. Bernstein presently serves on several ADA committees and on the Board of Directors of the American Diabetes Association Research Foundation. Dr Joseph Rubinfeld on the prospects for Generex's RapidMist Drug Delivery System, January 2010: "In order to understand the magnitude of successfully delivering a protein-based molecule through an other-than-injectable delivery method, all one has to do is look at the billions of dollars that have been spent by some of the world’s largest pharmaceutical giants in failed efforts for delivering insulin through the lungs. And here is our Company, which stands on the verge of succeeding in not only accomplishing this task but, also accomplishing it without entering the pulmonary system and at a fraction of the cost of even one of the failed efforts by big pharma. Should Generex obtain FDA approval for Generex Oral-lyn™, it will enter the multibillion dollar market for diabetes treatment in the U.S. and it will also have the key to replicating this delivery for a broad based group of similar drug therapies for a variety of illnesses. Indeed, a complete success down the road would be the approval of the delivery system itself, enabling Generex to partner with other drug companies to extend the patent lives of their drugs through a less invasive delivery method. In each case, there would be the potential for large royalty streams on proven drugs for years to come." To read more from Dr Rubinfeld click here. Medications based on large molecules (also called macromolecules) are increasingly crucial to the treatment of many diseases and conditions. In fact, large-molecule biopharmaceutical products - including proteins, peptides, and nucleic acids-are sometimes referred to as "next generation" medicines. Unfortunately, large molecules have some challenging properties. They are poorly absorbed through the epithelial membrane easily destroyed by gastrointestinal acids and enzymes relatively insoluble. Large-molecule drugs are therefore usually introduced into the body via injection-and that's a problem. Injections are painful, inconvenient, and often must be delivered by trained medical staff. For these reasons, injection is not a user-friendly drug delivery system. The discomfort of a daily regimen of injections increases patient anxiety, which clearly is an undesirable outcome in itself. Moreover, as anxiety increases, compliance decreases, and that has serious repercussions. For the individual patient, decreased compliance with a medication schedule often leads to a serious deterioration in health. For the health care system as a whole, decreased compliance is extremely costly - in the US alone, hospital and physician visits attributable to noncompliance have an estimated price tag of $8.5 billion. Scientists in academic and commercial laboratories have attempted to find less invasive alternatives to injection of large-molecule drugs, but so far most of the results have not been useful. That's why the preliminary success of the Generex approach, buccal delivery of large-molecule drugs, is so exciting. The evolving role of oral insulin in the treatment of diabetes using a novel RapidMist System.Modi P, Mihic M, Lewin A.
Diabetes Metab Res Rev. 2002 Jan-Feb;18 Suppl 1:S38-42. Beneficial effects of addition of oral spray insulin (Oralin) on insulin secretion and metabolic control in subjects with type 2 diabetes mellitus suboptimally controlled on oral hypoglycemic agents. Guevara-Aguirre J, Guevara M, Saavedra J, Mihic M, Modi P.
Diabetes Technol Ther. 2004 Feb;6(1):1-8. Oral spray insulin in treatment of type 2 diabetes: a comparison of efficacy of the oral spray insulin (Oralin) with subcutaneous (SC) insulin injection, a proof of concept study. Diabetes Metab Res Rev. 2004 Nov-Dec;20(6):472-8. Biokinetics of buccal spray insulin in patients with type 1 diabetes. Pozzilli P, Manfrini S, Costanza F, Coppolino G, Cavallo MG, Fioriti E, Modi P.
Comparison of oral insulin spray and subcutaneous regular insulin at mealtime in type 1 diabetes.Guevara-Aguirre J, Guevara-Aguirre M, Saavedra J, Bernstein G, Rosenbloom AL. Diabetes Technol Ther. 2007 Aug;9(4):372-6. Delivery of insulin to the buccal mucosa utilizing the RapidMist system. Expert Opin Drug Deliv. 2008 Sep;5(9):1047-55.
Review of clinical trials: update on oral insulin spray formulation. Pozzilli P, Raskin P, Parkin CG.